Capturing new SalesForce leads with text messages is incredibly easy with Textiful! You create a custom keyword within Textiful. 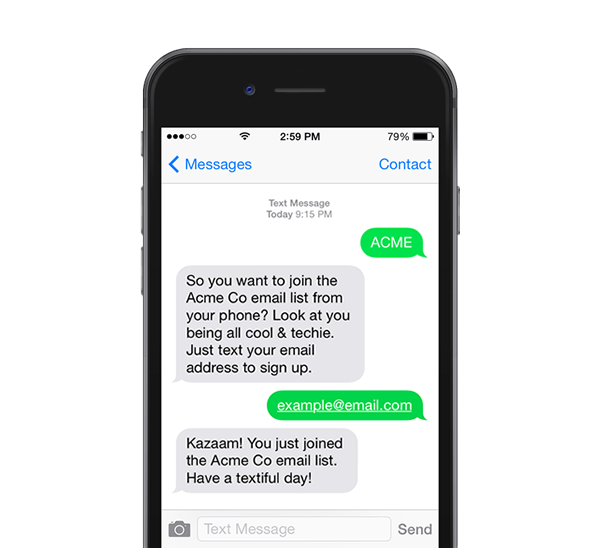 Customers text this keyword and Textiful will automatically reply with a message that you customize asking them for their email address. Once they text their email address... well... that's it! They will be instantly synced as a SalesForce Lead! 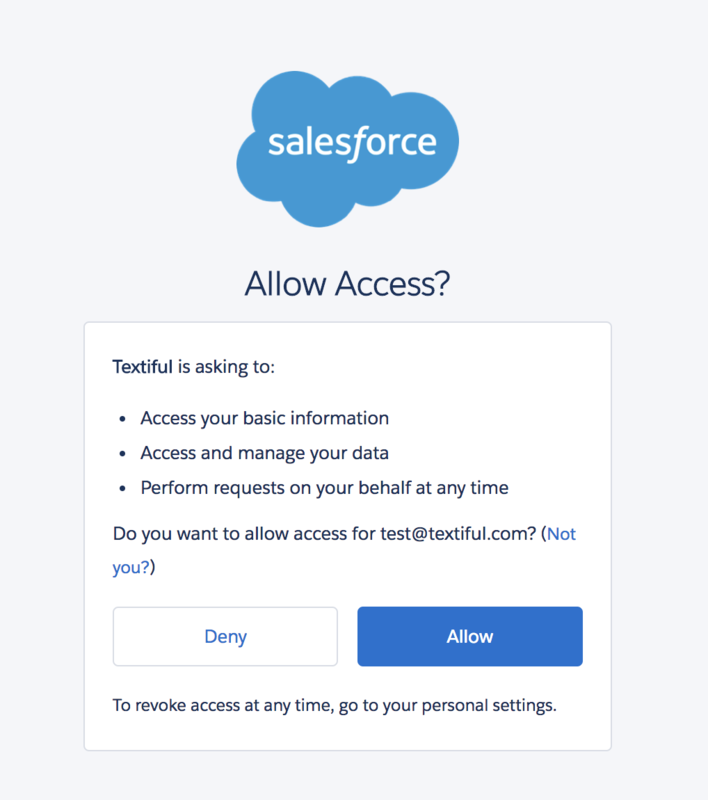 In just minutes you can link your SalesForce account with Textiful and start generating leads through text messages. The setup is as simple as logging in to you SalesForce account. That's all there is to it!